Beautifully simple and elegant teak framed vintage stools. 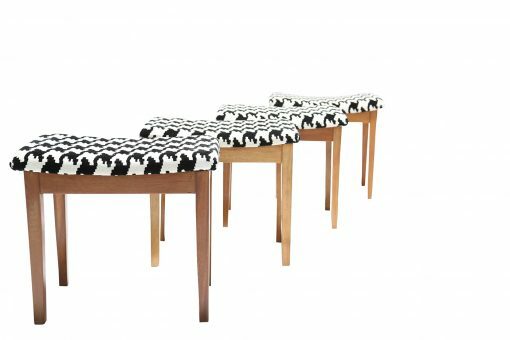 Upholstered in a high quality monochrome hounds-tooth pattern fabric fitting of their vintage origin. We have a number of these in stock suitable for both domestic and/or commercial use. **Please note price is for one stool** . Worldwide shipping available.